Palm Springs, Calif.----- Dec. 13, 2016 ----- Surprises abounded at the 2016 Evening of Equestrians and President's Reception, presented by USHJA Zone 10 and Pacific Coast Horse Show Association, at the USHJA Annual Meeting, presented by HITS. 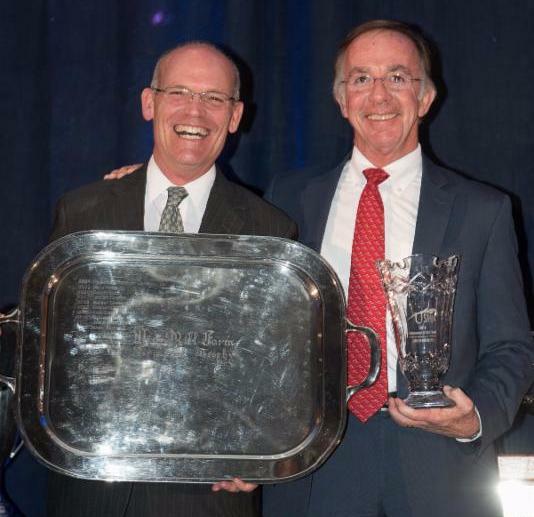 Following a touching tribute to outgoing USHJA President Bill Moroney, David O'Connor, Howard Pike, Kathy Meyer and Alvin Topping awarded him the Inaugural William J. Moroney Visionary Award for his leadership that established and propelled the USHJA forward. David Distler, of Norwalk, Conn., received the distinction of Volunteer of the Year, after being named the new national vice president for the Association earlier in the week. Distler's service spans more than a decade, acting as Jumper Working Group chair and serving on the USHJA Executive Committee, Thoroughbred Task Force, Joint Owners Task Force, and the Joint Equitation Task Force, among many others. Moroney presented eight President's Distinguished Achievement Awards, which were given to Kathy Meyer; Howard Pike; Tom Brennan, of Charles Town, West Virginia; Fran Dotoli, of Chepachet, Rhode Island; Janine Malone, of Zebulon, North Carolina; Cheryl Rubenstein, of Memphis, Tennessee; Tom Struzzieri, of Saugerties, New York; and Julie Winkel, of Reno, Nevada; for their incredible contributions to the sport. Moroney also gave special thanks and recognition to USHJA Officers Geoff Teall, of Wellington, Florida; Dianne Johnson, of Kirkland, Washington; Larry Langer, of Burbank, California; Mary Babick, of Freehold, New Jersey; and David Distler for stepping in during his transition to the interim and then permanent role of USEF CEO. 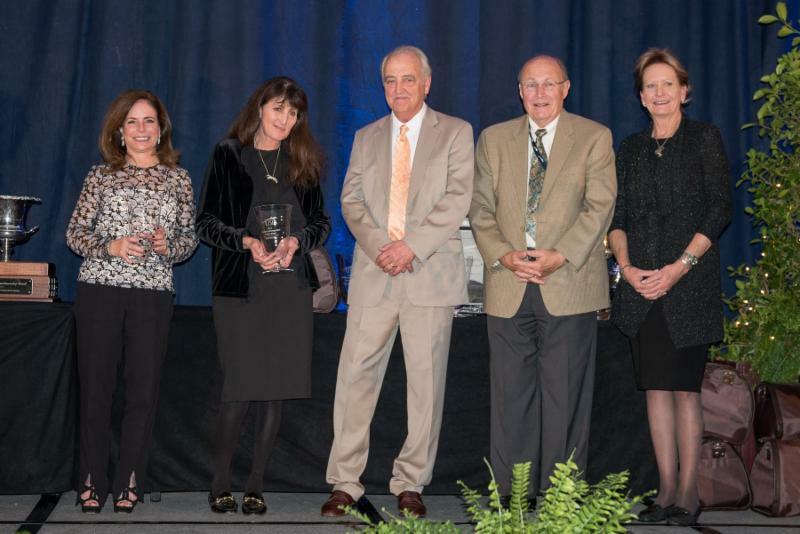 In addition to surprise awards, more than 200 attendees celebrated a number of award winners, including USHJA Lifetime Achievement Award winners, Chrystine Tauber, of Wellington, Florida, and Raymond Francis, of Centreville, Maryland. 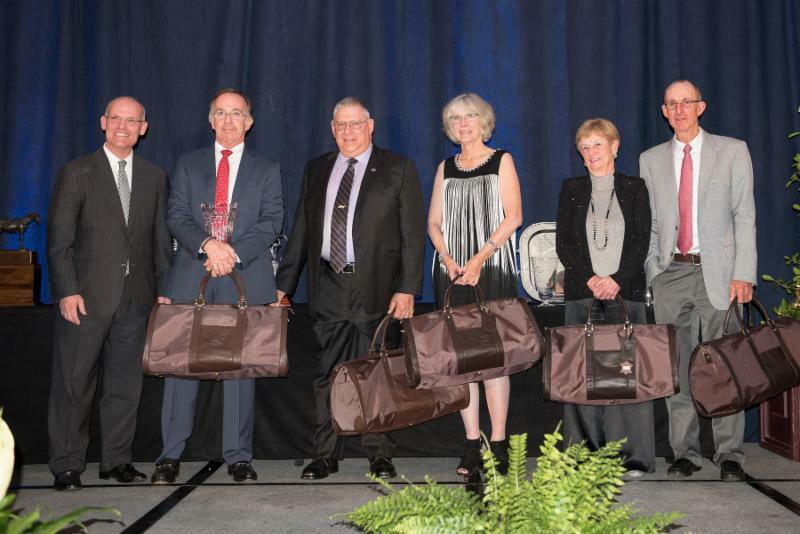 The Lifetime Achievement Award honors members whose lifelong involvement in the sport and with USHJA has benefited the industry. Recipients have dedicated their lives to furthering the disciplines of hunters and jumpers on a national platform. For both of the recipients, a video tribute recognizing their incredible accomplishments and contributions to the sport played during Evening of Equestrians. Evening of Equestrians attendees continued the festivities at the After Party, presented by World Equestrian Center. The USHJA Annual Meeting, presented by HITS, began Sunday, December 11, and ends Thursday, December 15, in Palm Springs, California.